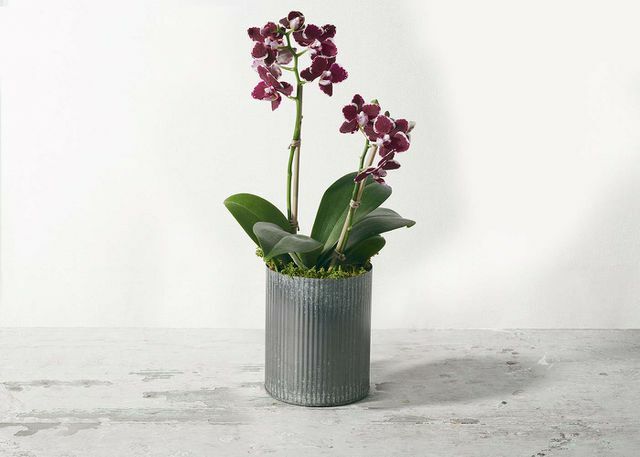 A symbol of love, beauty, and admiration, this purple-speckled orchid is planted in a pressed zinc pot. Send to a friend or loved one and make a lasting impression. 16”-18” inch double orchid in 5½" x 4½” zinc pot. Total height: 21"- 23"